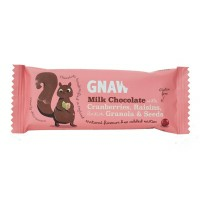 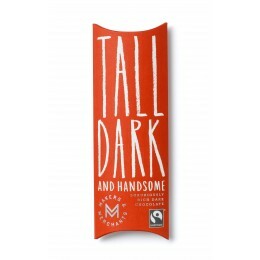 Gnaw Dark Chocolate and Orange Mini Bar 50g. 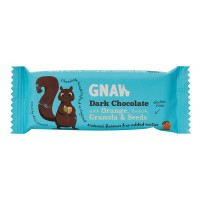 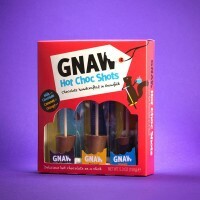 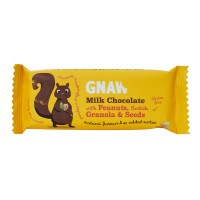 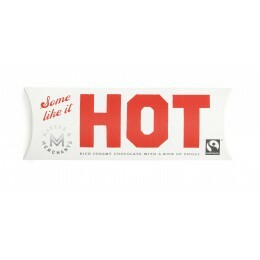 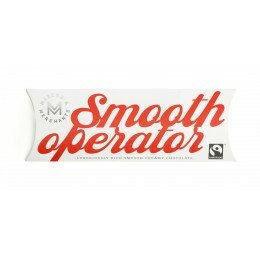 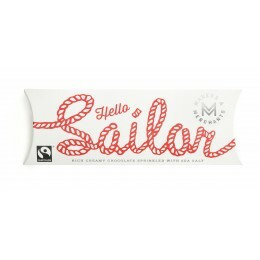 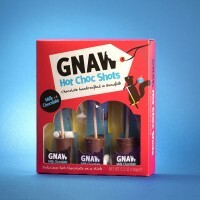 Small bars full of big Gnaw natural flavours and our absolutely munchtabulous Gnaw chocolate. 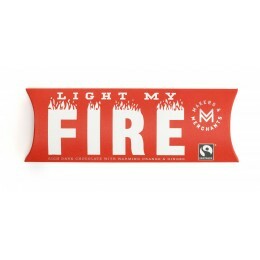 Tickle your taste buds with these handcrafted dark chocolate bars with candied orange pieces. 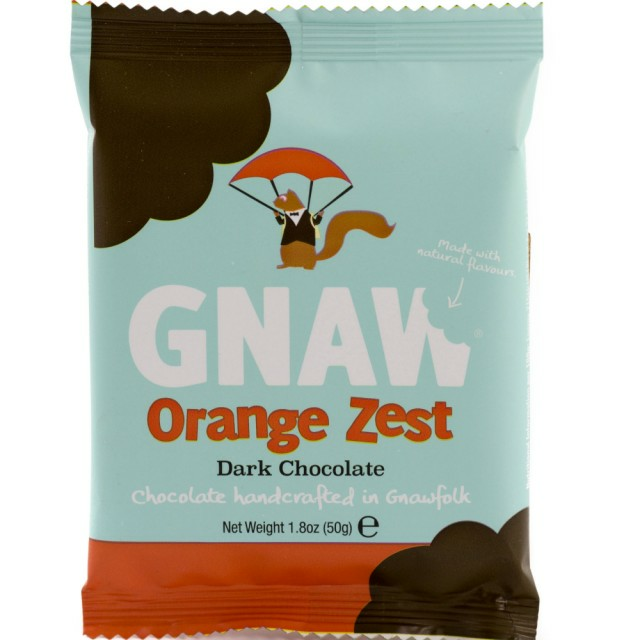 Ingredients: cocoa mass, sugar, candied orange (8%) (orange, sugar, glucose syrup, antioxidant (citric acid), preservatives (potassium sorbate, sodium benzoate), sulphites), cocoa butter, emulsifier (soya lecithin), flavouring (natural vanilla). 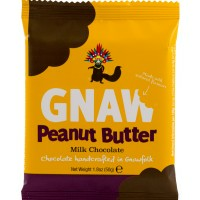 Nutritional Information per 100g: Energy 2154kJ/518kcal, Fat 32.5g, Of which saturates 19.8g, Carbohydrates 45.3g, Of which sugars 41.1g, Protein 6.4g, Salt 0.0g.